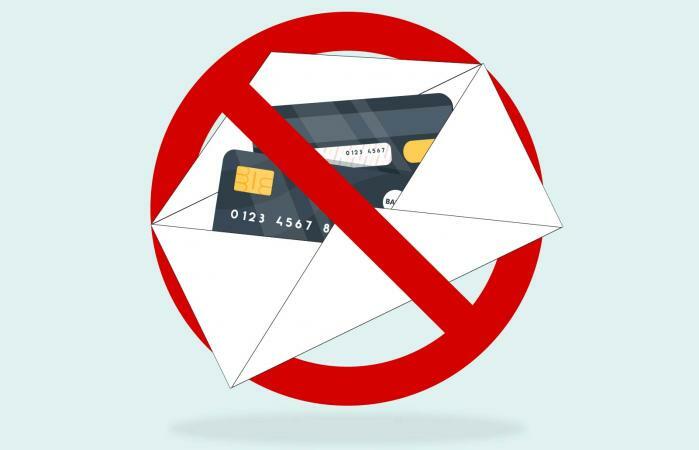 Do you wish that unsolicited credit card offers would stop showing up in your mailbox and email inbox? Fortunately, it is possible to stop the flow of these offers. You just have to know how to opt-out of receiving these types of messages. Unless you specifically opt-out, the major consumer reporting agencies are allowed under the Fair Credit Reporting Act (FCRA) to provide your name and contact details to financial service companies (including creditors and insurers) to use for the purpose of making unsolicited credit or insurance offers. Fortunately, the FCRA also includes a provision that allows consumers to demand removal from such lists. The best way to stop receiving pre-screened credit card offers is to opt out via OptOutPrescreen.com, which is the official website designated to process consumers' requests to halt these types of offers. When you register with this site, you will stop receiving pre-screened offers for both credit and insurance products. You can choose to opt-out permanently, or to opt out for five years. For either option, you will need to go to the opt-in/opt-out page on the OptOutPrescreen website. Select the radio button for the manner in which you want to opt-out (five years or permanently). Fill out the form with the requested information. Note: If you fill out the form to permanently opt-out, a form will be mailed to your house. You will have to fill it out and return it for your request to be finalized and processed. If you are opting out temporarily, completing the online form is sufficient to finalize your request. If you prefer not to process your request online, the Federal Trade Commission points out that you can also opt-out by sending "a written request to permanently opt out to each of the major consumer reporting companies" (Experian, TransUnion, Equifax and Innovis). The letter you send will need to specify that you want to permanently stop receiving pre-screened offers for credit and insurance products. Be sure to include your full name, address, social security number, and telephone number. A request to stop credit card offers applies to an individual, not an entire household. Each person in your household who wishes to stop getting these types of offers will need to fill out the appropriate online form or send letters to each of the credit bureaus. It's important to note that this process only stops "firm" offers of credit (which is the same thing as a pre-screened offer) resulting from a list provided to an advertiser from one of the consumer reporting agencies. Your own credit card company may still contact you with promotional or account upgrade offers. You may also still receive solicitations encouraging you to apply for credit cards for which you have not been pre-approved. To further limit the types of mail and email you receive, consider registering with DMAChoice.org, a service provided by the Direct Marketing Association.